Make your own printed paper and fabric! Take home giftable projects and your own custom stamps so you can keep printing beyond the class. This workshop is full, with a short waiting list. Please contact us to be placed on the list in case a spot opens up. 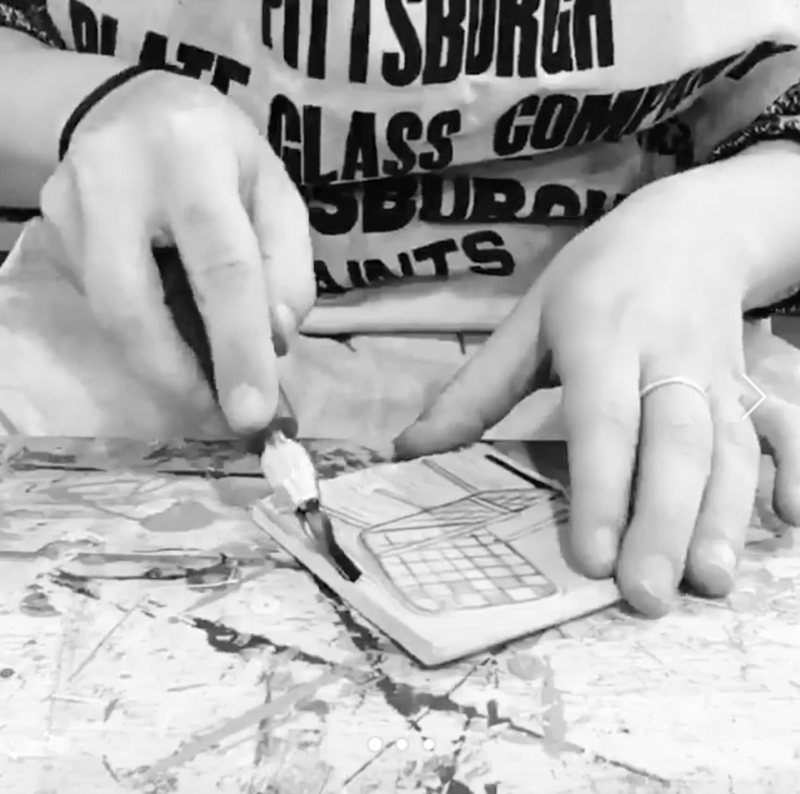 Spend a fall afternoon learning the techniques of making patterns through block printing, lead by Allison McKeen, a printmaker based in Gardiner, Maine. The workshop will cover the process of taking a simple sketch and turning it into a bold, graphic design using soft cut rubber blocks. Have a favorite blank tshirt, scrap of fabric, or paper? Please come prepared with your own preferred surface to print on such as paper or fabric. Have fun exploring shapes, forms, and patterns and take home unique hand printed items of your own design! No experience is required, open to all levels, ages 15+. 2-3 pieces of paper or fabric of your choice. Paper sheets and fabric pieces should not exceed about 24x30" in size. 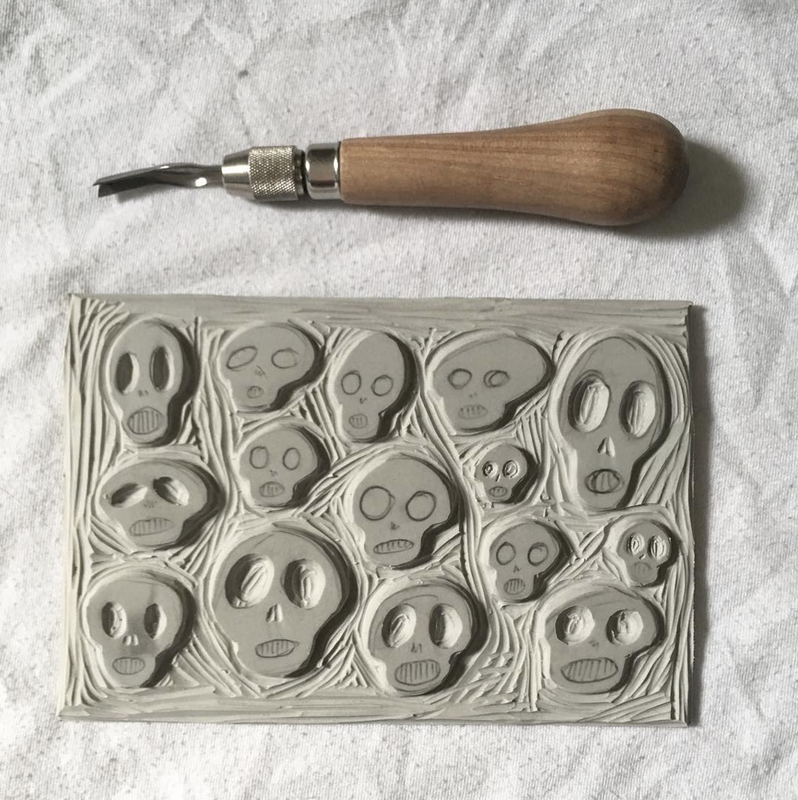 Suggestions: Printmaking paper, t-shirt, tote bag, tea towel, etc. All other tools and supplies will be provided, however please bring your own cutting tools or favorite ink colors if you have them. We'll be using soft-kut blocks and linoleum cutting tools for this class. Allison McKeen is a primarily self-taught interdisciplinary artist based in Maine. Her work is largely inspired by the rural environment of her upbringing along the Kennebec River. She equates her creative process to the themes experienced while playing outdoors: observation and adventure. "My block printed work is comprised of symbols of comfort, familiarity, and playfulness. Some common design elements in my work include chairs, coffee mugs, plants, geometric shapes, and more. These patterns and the images that comprise them create a sense of balance and calm while promoting an attitude of adventure, fun, and humor; they aren’t rigid or strict, the images float and dance around each other. " See more of Allison's work on her website and instagram.